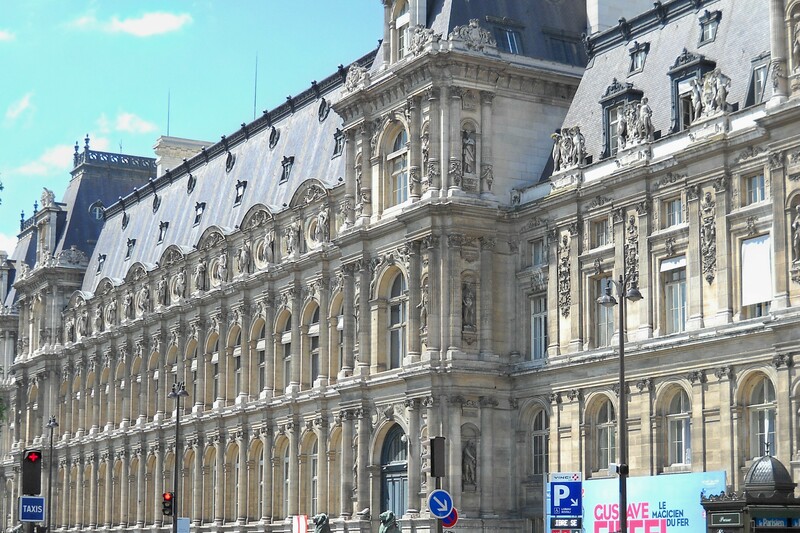 Don't try to book the Hotel de Ville. It's the administrative offices of the City of Paris. 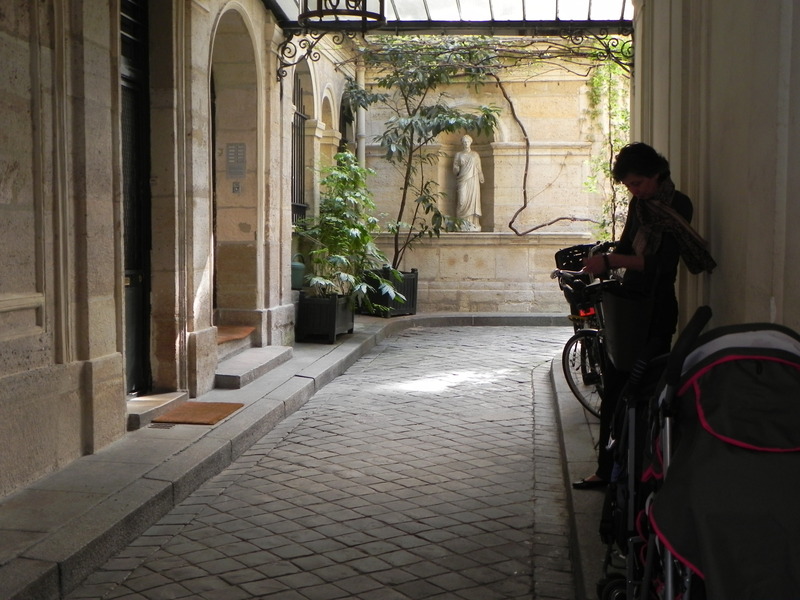 The Experienced Travelers are often asked how to find an affordable hotel in Paris. In fact, we revel in research, and document our options. Ironically, we’ve only stayed in a few Paris hotels, but that doesn’t prevent us from having a process that we follow with rigor. Dear Readership, there are zillions of hotel strategies out there. Browsing a travel newsgroup like the excellent Fodors travel forums presents a startling variety of approaches – most of them with merit. Over the years, we’ve settled on ours, and we’re delighted to share it with you. In this post, we’ll cover considerations, budget and our must-have list of amenities. Paris properties run the gamut from the resplendent to the ridiculous. If your dream trip includes 5-star luxury and handsome uniformed Frenchmen holding the door, then our strategy isn’t for you. Go directly to the Plaza Athénée, de Crillon or Le Meurice and do please tell us all about it because we’re dying to know. The ETs are counting on you! In terms of the ridiculous, I’ve seen it, and recognized that I was too attached to firm beds and real towels to try it. These properties are most suitable for cash-strapped young lovers, for whom a basic closet-sized room overlooking the dustbins takes on a special ambiance under the glow of Paris romance. On a busy street, opt for a room overlooking an interior courtyard that's as lovely as this one. Somewhere in between is a wide range of options that include small family-run properties, trendy boutique hotels and large chains that offer comfortable, if homogeneous accommodation. 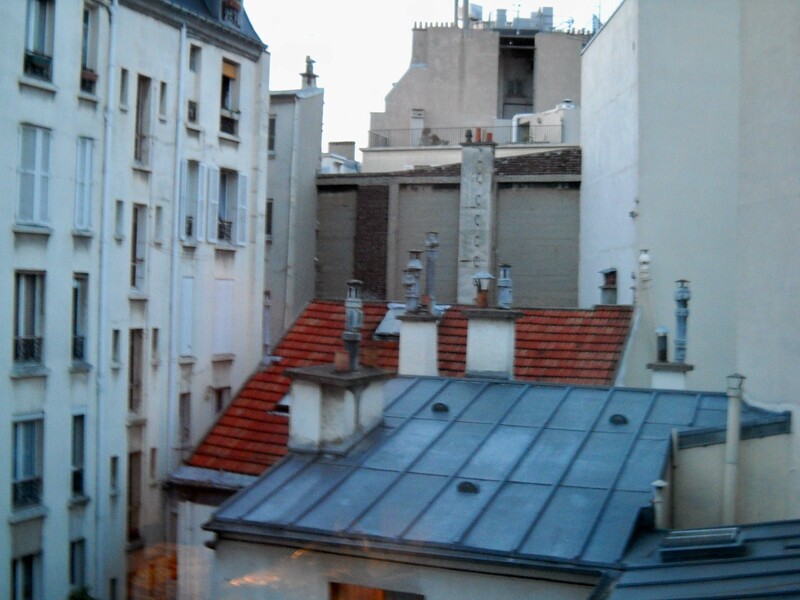 We remind US travelers in particular, that Paris hotel rooms are often smaller than standard room in the States. And the French ground floor is the rez-de- chaussée , so the first floor French is equivalent to the second floor US, and it goes up from there. Elevators in hotels are not a given. If you harbor a fantasy of watching the sun set over the Paris skyline from your hotel room window, remember that you may have to schlep up six flights of winding stairs to make it come true. I still have ridges in my palms from hauling luggage to a fifth floor B&B in Avignon. The ETs are proud proponents of cardiovascular health, but we draw the line at heavy transport unless it’s a laminated shopping bag with a store name on it. And a room on the top floor of a Haussmann-era building may have a sloping ceiling, leaving tall members of the Readership navigating a narrow pathway along one wall – and watching the sunset all alone from the far side of the room. Speaking of check-in; if you arrive in the morning after an overnight flight, it’s likely that your room won’t be available until early afternoon. Don’t arrive with dreams of a hot shower. Leave your luggage, get a late breakfast and go for a walk. And stay awake till at least 10pm. The timetable for the rest of your trip depends on this. Use whatever means you have at your disposal to stay upright and alert. Sightseeing, food, wine, walks – don’t take a nap, dear Readership. If you’re traveling on a reasonable budget, you’ll have no difficulty finding a reliable room in a good location. 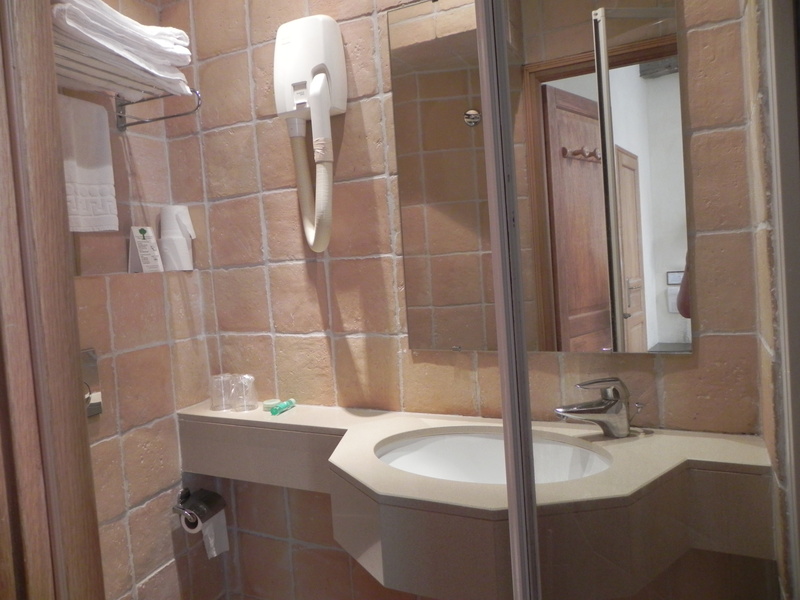 We like to pay between 120-150 euros per night for a double. There are acceptable rooms in Paris for less, but you’ll be well advised to book months in advance to get the best ones. And the others? Well, we’re leaving those to the young romantics who overlook the dustbins. The ETs think our hard-earned funds are best spent at a hotel where our budget buys the “better” to “best” room. Although we could spend the same amount for a less exalted room at a swankier address, we’ll sacrifice status for space and a higher position in the hotel pecking order. The ETs like having breakfast at the ready in the hotel. It's a hotly debated topic on the Fodors travel forum. We may be in the minority on this, but if the hotel offers breakfast, we generally take it. In a small hotel, “eating in” will endear you to the manager, whose good graces are useful to have in times of crisis. It’s less expensive to eat standing at a cafe bar, but we sleep more soundly knowing our morning coffee and croissant are near at hand. Any breakfast over 8 euros should include a reasonable buffet with yogurt, eggs and meat. Pile your plate so you have plenty of energy till lunch. We won’t tell if you pocket a demi-baguette to enjoy later in the day. The ETs are ladies of a certain age, so we have firm requirements of hotels that will make our shortlist. Cleanliness, firm beds, safe location, ample light and polite staff are high on the list. We also consider an elevator an important amenity, but that’s because of those shopping bags. We find all these things and more without breaking our budget, leaving us with Found Money to spend on more meaningful things like bath towels, pink Chanel eyeglasses and jars of black olive tapenade. First and foremost is the ensuite bathroom. Experience taught us that it’s undignified to wander a dark hallway at 3am wearing walking shoes and a cheap travel bathrobe. It just won’t do. And we must be able to reach the bathroom without vaulting over a bed and an unsuspecting ET deep in sleep. Besides, we haven’t vaulted over anything since 1995. As inveterate readers, bedside lamps are a major need for us. Nurse is gifted at late-night subterfuge and will successfully commandeer the single reading light, so I include this requirement in self-defense. We’ve added WiFi access to the list so we can stay in touch. It also makes calling home much cheaper if you use a service like Skype. If we’re visiting in late spring or summer, air conditioning is necessary to keep us cool and elegant. Paris can feel stifling at a mere 80 degrees Fahrenheit. And it’s no good to lay awake finding animal patterns in the wallpaper while inebriated Frenchmen argue the merits of 18th century philosophers. Unless the room is on a quiet street, we opt to sleep higher up, or overlooking a pleasant courtyard. Our needs are simple, dear Readership, and we stand by them. With a little advance research, the Paris roof over your head can be both comfortable and affordable. 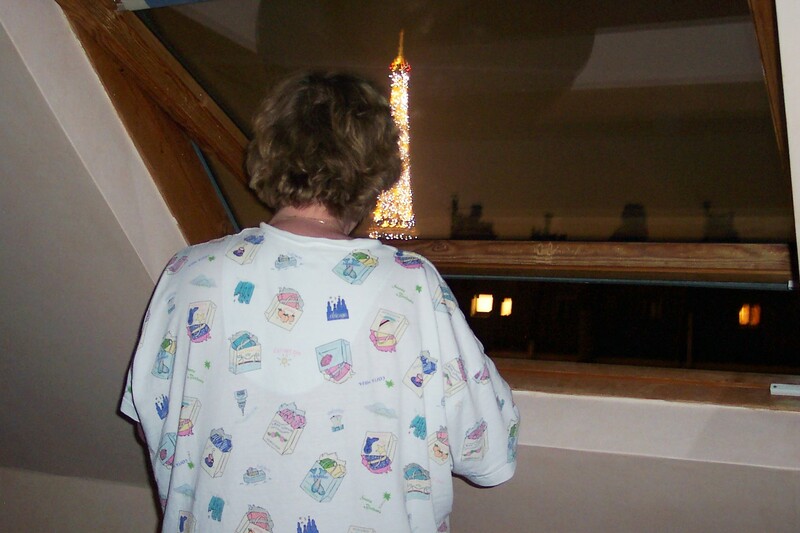 We just know that you have Paris hotel tips to share with the Readership. Leave a comment and educate us! 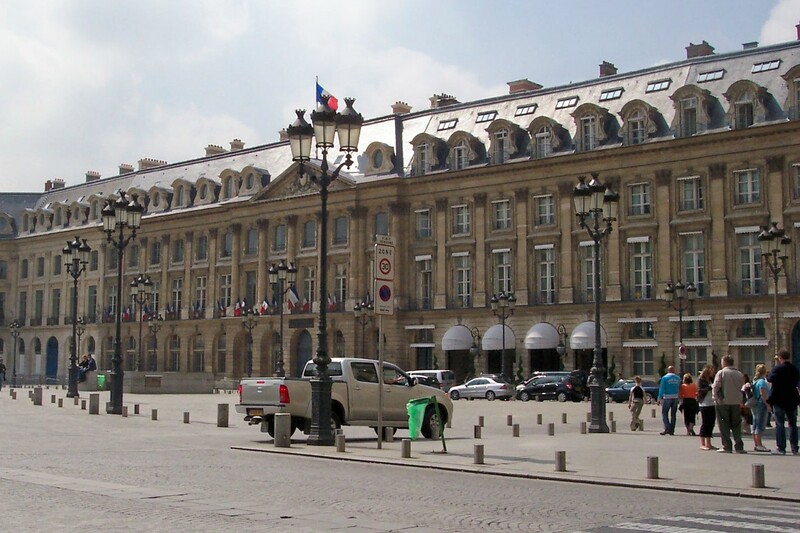 Maybe you'll choose the Place Vendome and stay here at the Ritz! This entry was posted on September 27, 2011 at 6:06 pm and is filed under Affordable Paris, Paris Hotels, Paris trip planning. You can follow any responses to this entry through the RSS 2.0 feed. You can leave a response, or trackback from your own site. 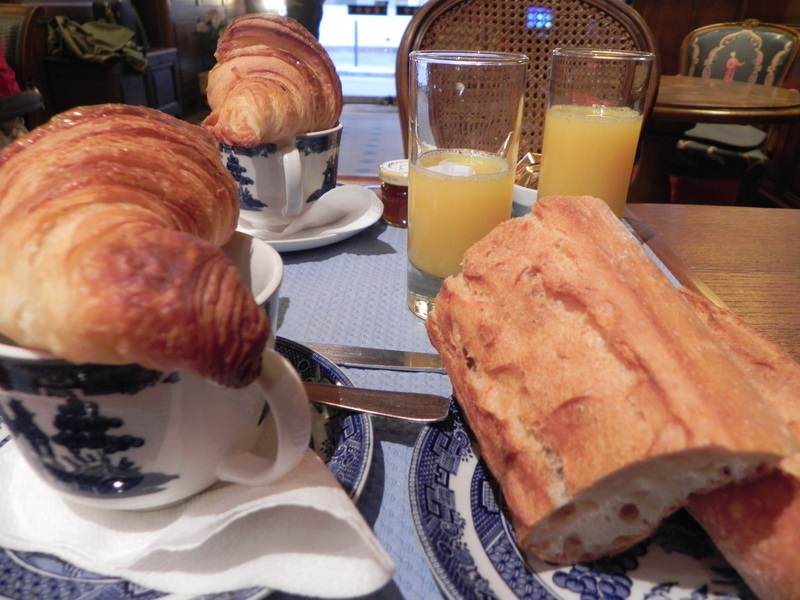 we always stay in the 6th at hotel raspail….friendly if a little standoffish staff…great breakfast….rooms are clean..bathrooms sparkling…and a lift. a view of the tower at night is a bonus! also close to coffee shop for those mornings you are up and at it early. Debbie thanks for your recommendation! I’ll check out the Raspail. I think we’ll be compiling a list of recommended places to stay that the Readership can consult when they take that trip to Paris on a moment’s notice. As always, we appreciate your contribution. Stay warm up there, across the lake in Toronto. Hotel Americain (rue Charlot, 10e). Autolycus thanks for alerting the Readership to two of your favourite hotels! I am especially interested since they’re in neighborhoods I am not familiar with, and would not otherwise know about. Share more about them if you wish. We appreciate the recommendation. BTW the rooftop photo was taken at the Hotel du Lys in the 6th. So nice catching up with you last night! I will have to savor your blog like a little cello wrapped cone of mendiants. I meant to ask where you stayed in the 7th. I see at least once it was Muget. That’s where I was for my Anniversaire Quarantenaire. What did you think? I liked the ladies @ the front desk 24/7 to keep track of your safe comings and goings. 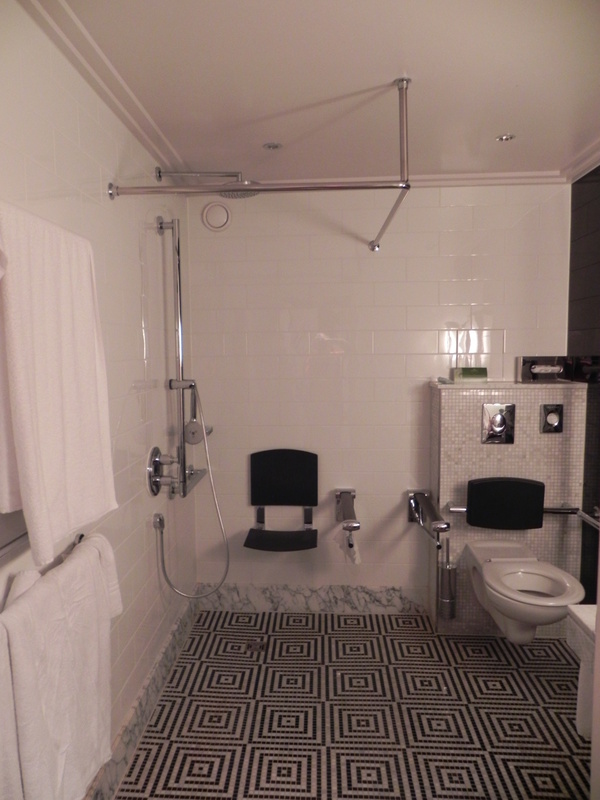 The bathrooms, while small (inhale and step sideways into the shower) were immaculate! I’ll have to investigate the Hotel du Lys. Count on me as a fan! Hi Karen! It was good to reconnect the other night – at a Beaujolais Nouveau event, no less! You have stayed at the Muguet! You are spot-on about the cleanliness. I often recommend it. Now, we expect you to keep the ETs honest about our food posts! I know that you, as a local restaurant reviewer, can help us improve our reporting technique!